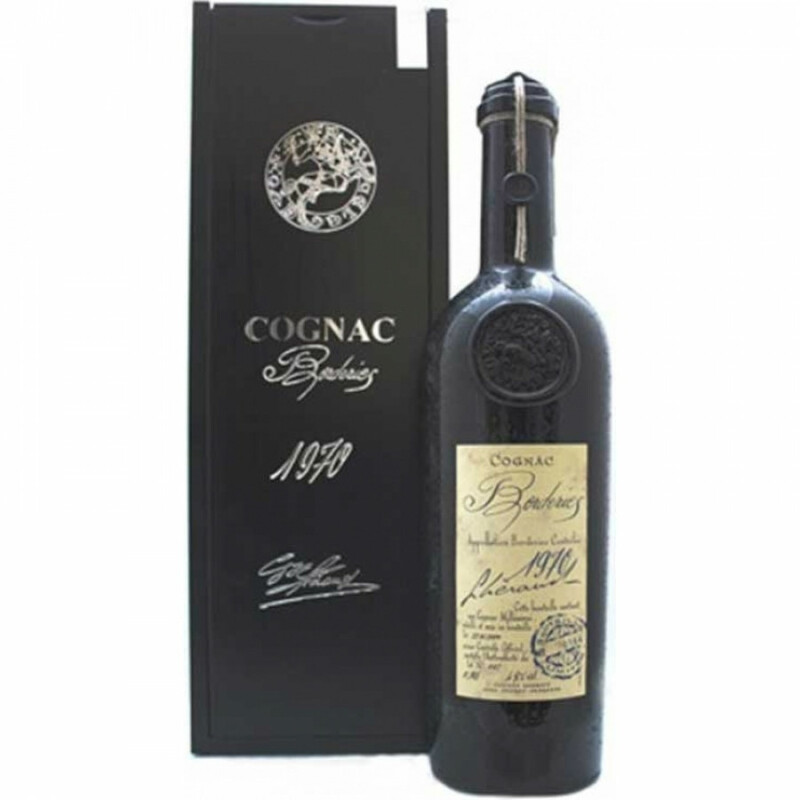 A wonderful age-specifc delight, the Lheraud Vintage Borderies 1970 Cognac will delight anyone who's looking for a truly top-quality Cognac. The soils of the Borderies terroir imparted their unique attributes to the grapes of this harvest, and this intense Cognac (at 48°) is pleasantly sweet with a wonderfully satisfying finish. The presentation is also stunning, with a dark colored bottle hinting mysteriously at the treasure contained within, complemented by a tradtional style label, and a black presentation box. This makes it a real conversation piece when brought out in company. It would also make an excellent gift for any Cognac connoiseur.